I am the daughter of a mother whom has recently gone through surgery that involved the removal of a tumor near her brain. For the last half year, my mother's condition has been worsening. She could not remember days, times, and routine events going on in her life. In the last couple months, the doctors discovered a tumor by her pituitary gland. I was told that this could be the cause of my mother's memory loss as well as her inability to clearly and accurately process her surroundings and things going on around her. My family had been hoping that the removal of the tumor would solve her problems; however, since the surgery, there has not been improvement. I think my family is at a loss for what we can do to help my mom. This has been stressful for all of us. No one I know has gone through this problem. I also have not told too many people about this situation (it is difficult for me to even write this without getting emotional). I feel as if I cannot connect with my mother as I had before and like there is a part of her that is lost, and that I am not sure we will ever get back. Doug's Reply. I have had your situation in my thoughts for several days. I know this is a sorrowful, uncertain time for you and your family. There is a book I think you and your family members should read that may be of some help. 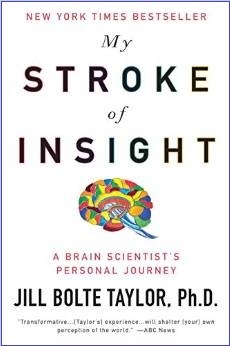 The book is My Stroke of Insight: A Brain Scientist's Personal Journey by brain scientist Dr. Jill Bolte Taylor. It is an autobiographical account of the massive stroke that she herself suffered in the left hemisphere of her brain. Amazingly, she went on to an eventual recovery. But it's more than just the story of the stroke. As a brain expert who lived through a terrible brain trauma, Dr. Taylor has unique insight into what goes on in the brain of the affected person at every stage of the trauma and healing process. Her words will at a minimum provide you with comfort and understanding. They may even be a source of great hope and encouragement. You see, Dr. Taylor's stroke was so severe that within four hours she could not walk, talk, read, write, or remember any of her life. And yet, through the patience of her caregivers (including her mother), Dr. Taylor eventually regained most of her memory and enough function to live independently. I'm not a doctor, of course, and this is not medical advice. But I suspect it may be too early to ring down the curtain on your mother's life. As scientists are learning, the brain is extremely powerful, flexible, and resilient. Through a process called neuroplasticity, the brain is able to remap it's functions through experience and when under duress. 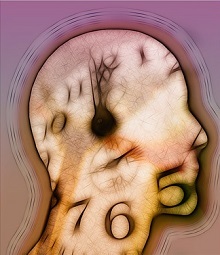 Scientists have only lately begun to study and understand neuroplasticity, but it is very real. It is one of the primary mechanisms through which many brain damaged individuals have been able to regain mental function they lost through trauma, disease, or surgery. Don't give up on your mother just yet. In fact, as you'll learn from Dr. Taylor's book, now is probably the time for either you or someone in your family to take a very active role in your mother's recovery. As the brain heals, it needs stimulation, and the person inside needs comfort and support. - I am not stupid, I am wounded. Please respect me. - Repeat yourself - assume I know nothing and start from the beginning, over and over. - Be as patient with me the twentieth time you teach me something as you were the first. - Make eye contact with me. I am in here - come find me. Encourage me. - Please don't finish my sentences for me or fill in words I can't find. I need to work my brain. - Ask me multiple-choice questions. Avoid Yes/No questions. - Do not assess my cognitive ability by how fast I can think. - Cheer me on. Expect me to recover completely, even if it takes twenty years! - Show me old video footage of me doing things to remind me about how I spoke, walked, and gestured. - Keep me familiar with my family, friends, and loving support. Build a collage wall of cards and photos that I can see. Label them so I can review them. - Love me for who I am today. Don't hold me to being the person I was before. I have a different brain now. This is a trying time, and I wish you, your mother, and your family all the best as your mother works through her recovery. Be courageous and patient, and you will get through this.